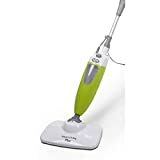 Smart living steam mop plus reviews: If you are looking for the best steam mop that only uses high temperature steam continuously when cleaning floors, then the Smart Living Steam Mop Plus is ideal for you. This steam mop uses continuous heat of 110°C to effectively clean and sanitize floors without the need of any harmful and toxic detergents like vinyl, wood laminated, and even ceramic floor tiles. 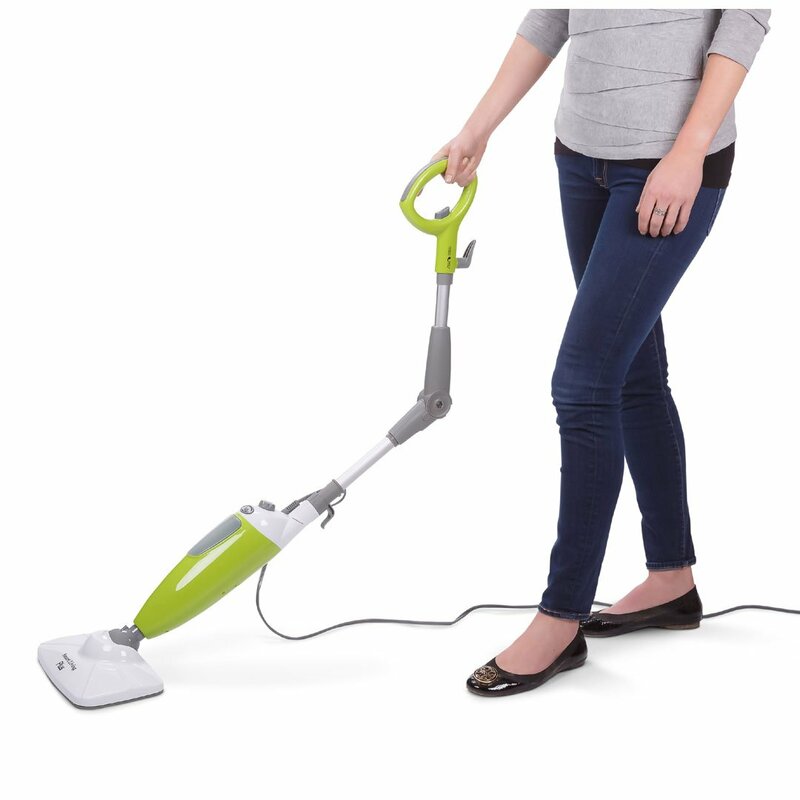 Simply add water and attach the micro-fiber pad then allow the steam to do its work and clean your floors. Hard surface cleaning without the need for toxic chemicals or detergents. Sanitize Ceramic floor tiles, Vinyl and Wood laminate floors. Steam is very versatile, it and can cook food, power locomotives, get the wrinkles out of your shirt, and get tough stains off of most any surface. When you combine steam with a mop, it just makes perfect sense that this is a match made in heaven. The mop makes it so you don’t have to get on your hands and knees, or stoop to clean up the floor. The steam makes it so that you don’t have to use a lot of elbow grease or go over the same spot many times trying to get a stain to come off. 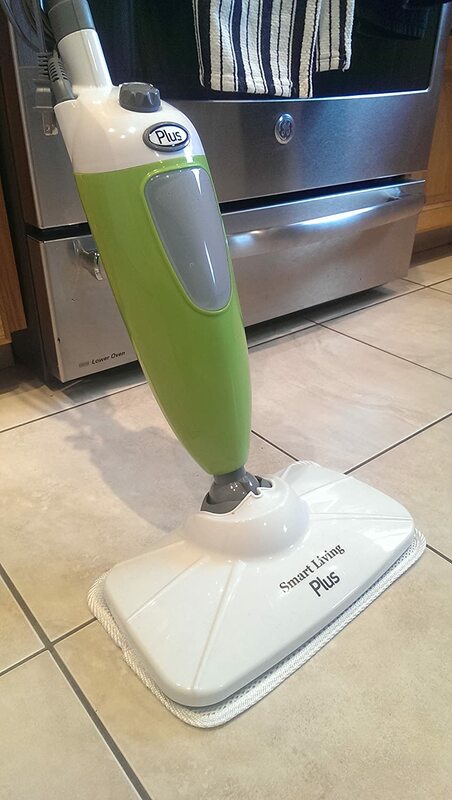 The makers of the Smart Living Steam Mop really harp on the idea that this is a “green” product. They say that it is a way to live sustainably, and they’re right to some extent, this is a form of reducing the impact that you’re having on the Earth, but it’s pretty much a break-even with all of the plastic, wires, metal and electrical components it will eventually add to a trash heap somewhere. Another aspect of this product being better for the environment is that it doesn’t use disposable pads, it uses reusable microfiber pads that can be washed and reused again and again so you don’t have to keep tossing out the old ones. But unless you are a mopping wonder that is mopping up all the time you really won’t go through that many paths, so this is again a questionable statement if they’re calling that a green feature. The hype is that many of these steam mops try to make the case that they are doing the Earth a favor by not using cleaning chemicals that add to the pollution of the planet. However, compared to the sort of resources that the average American home consumes, and the amount of waste that they produce, using a bit of cleaning chemicals to get your kitchen floor clean is not really high on the chart as far as offensive actions go. Using a product that features steam should make your life easier because the steam loosens up dirt that has been worn in, and also cleans up any wet messes that should happen. However, some reports are saying that this uses too much moisture, and the result could be that you have to clean up after you are finished cleaning up, adding time and effort to the process and making this an additional commitment. Most reviews of the Smart Living Steam Mop say that it doesn’t really live up to expectations, leaves the floor too wet, and is too heavy to do any big jobs. There are a few positive reviews that say it works the way they thought it would, but overall people seem to be pretty under-impressed. Since this product is made from a relatively new company, it’s not surprising that they couldn’t quite pull off something like this. There’s somewhat of a barrier to entry, and unless you have a superior manufacturing process, you’re going to have a mop that gets mixed to negative reviews. The Smart Living Steam Mop can’t earn our approval because they just don’t make a strong enough case for themselves, and the feedback coming in from real users points to this being a dud. It’s not really the manufacturer’s fault, because steam-based products are not the easiest thing in the world to make. That’s why there’s only a few companies out there that can get it right, and lucky for them most upstart companies will end up flopping and closing up shop. 3 Microfibre Cloths in a pack. Re-usable and machine washable for multiple uses. These original pads are soft for everyday cleaning but tough enough for grout and stickier messes. Super absorbant for light cleaning and heavier messes. *Note* These pads are for the Smart Living Steam Mop Plus - But fit the old style mops.